A shot taken at the Millennium Bridge and St. Paul's Cathedral. 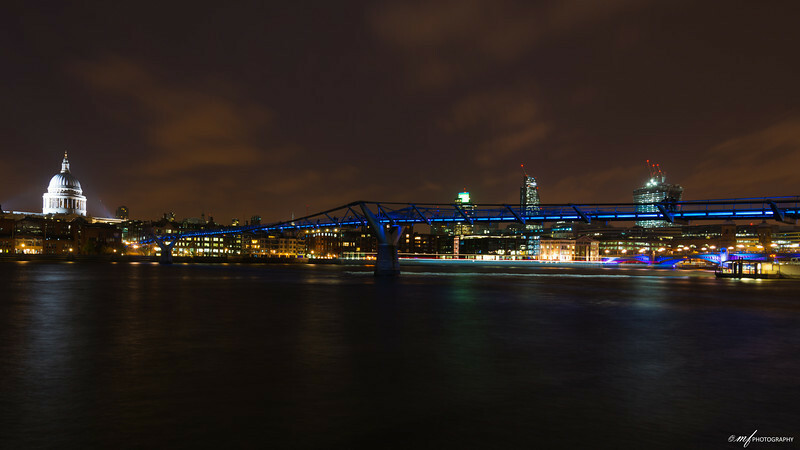 The Millennium Bridge looked like a strip of neon blue light from a distance. London really knows how to lit up in the dark.